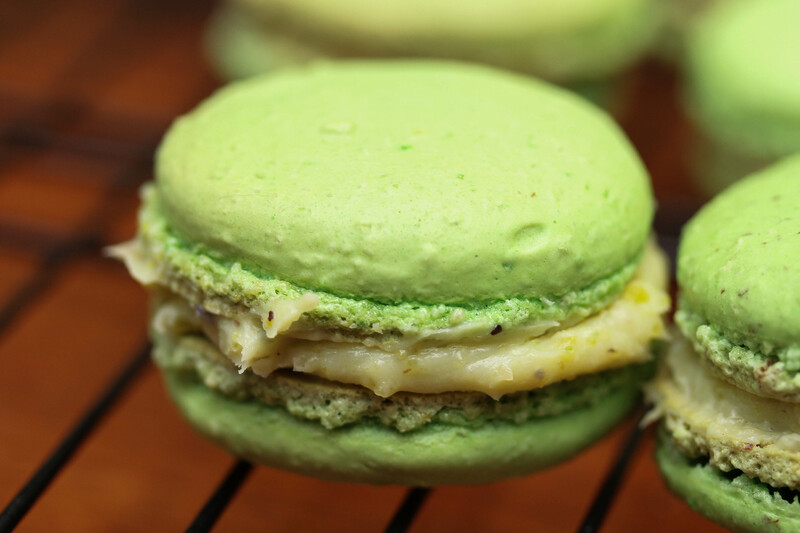 Almond flour is the one distinctive ingredient used in french macarons. 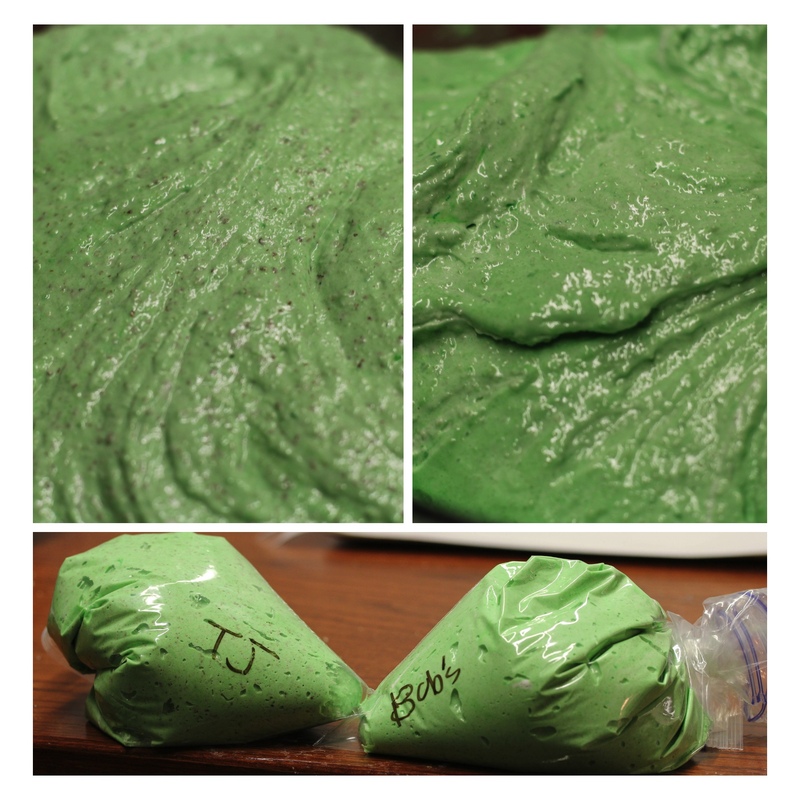 As a budding baker one year ago, I attempted to address some questions regarding the almond flour used in macarons. 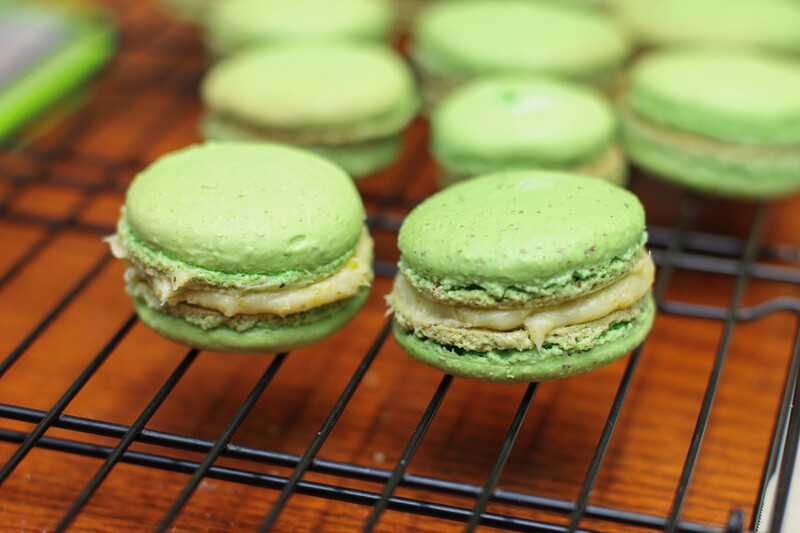 Over one year later, one of the top viewed posts on this blog is my post on almond flour for French macarons. Today I want to revisit the reoccurring question that many emerging bakers have – does the type of almond flour used in macaron batter matter? 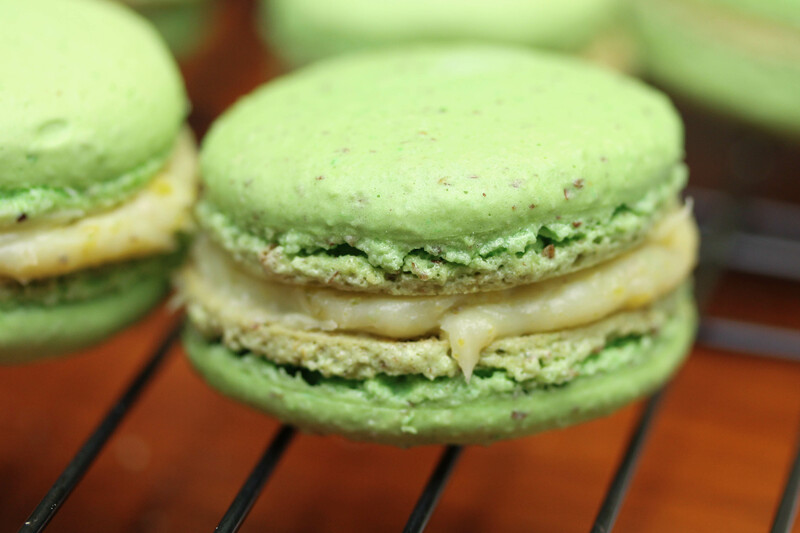 To address this question, I decided to run a little experiment of my own, I made Pierre Hermé’s Pistachio macarons from another post using almond flour purchased from Trader Joe’s and Bob’s Red Mill. I set up the experiment as follows. 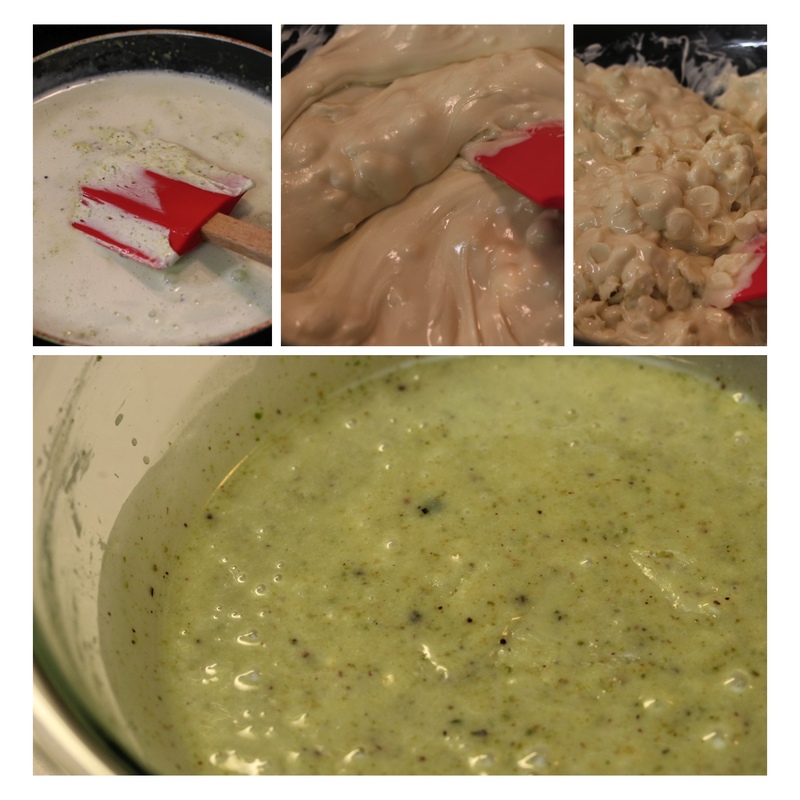 I used half the amount of almond flour, powdered sugar, and first set of egg whites. 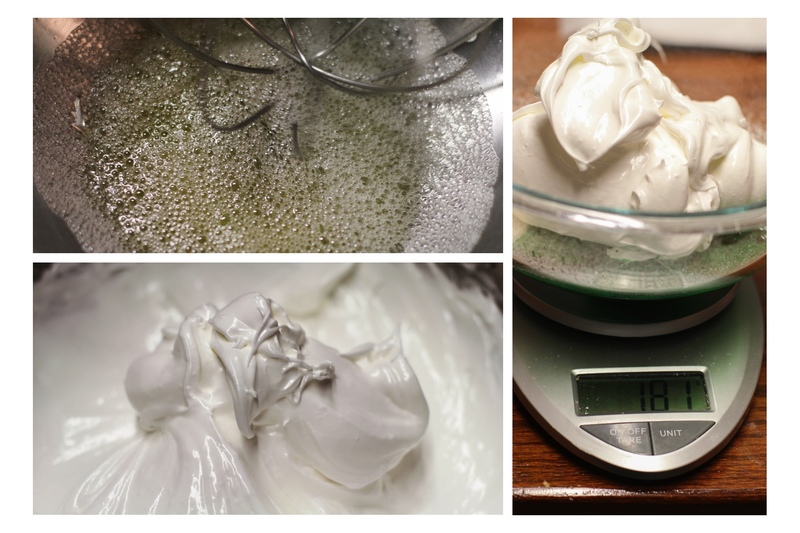 I proceeded to make the italian merengue as usual using the full recipe and devided the merengue evenly between the two separate bowls using a scale. I then proceeded to make the macarons using both batters. To make sure I had consistent (relatively so) results between the two batches, I used the same buttercream and kept pretty much everything except the almond flour constant. The Bob’s Red Mill almond flour is blanched then milled, whereas Trader Joe’s flour isn’t blanched. The immediate, obvious difference in aesthetics is the addition of brown specks when baking with Trader Joe’s almond flour. The blanched almonds were also a lot easier to blend making the final macarons slightly smoother. There was no major difference in the feet of the macaron. Both macarons also came out perfectly cooked. A few of my friends swore that the macarons made with Bob’s Red Mill almond flour tasted better. A few others stated otherwise. The majority – couldn’t tell a difference. Both macarons were equally chewy after the 24 hour aging period and the flavor was similar. The texture was almost indistinguishable. A lot of times people demand a decision. To me, I was fairly impressed with the almond flour that only costed about a third of the price of Bob’s Red Mill. 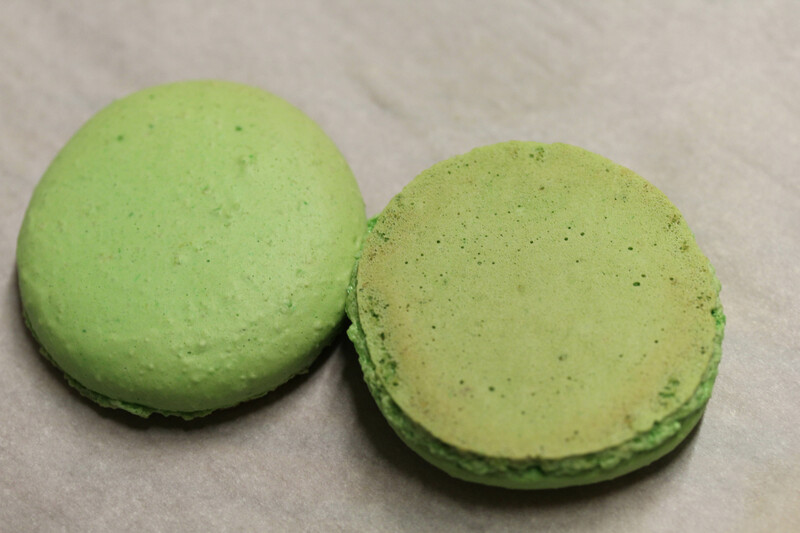 The macarons were slightly more graining which can most likely be resolved with a spice grinder or food processor. My biggest caveat would be remembering that the Trader Joe’s macarons will create brown specks throughout the cookie. This might be a deal breaker for some people. 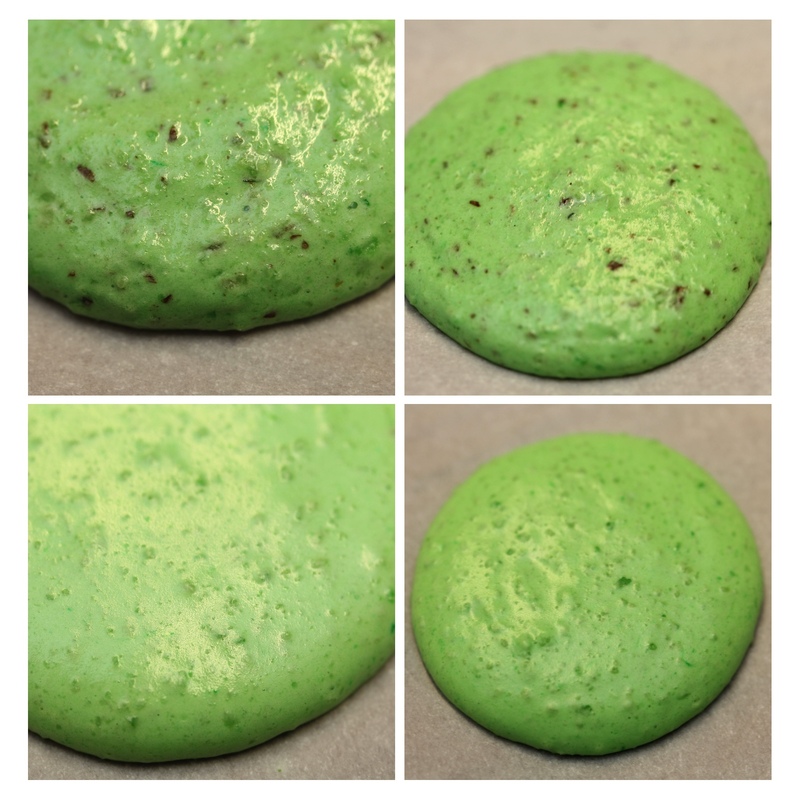 Personally, I thought the look added to the pistachio macarons but might not look too good with other macarons. For a third of the price, Trader Joe’s almond flour offers a simple substitute for the nicer almond flours. If you are aiming for smooth and pretty shells, however, I’d go with the Bob’s Red Mill brand.